We love our members and, as a Secular Humanist community, we feel obligated to assist our members who may be having personal hardships. If you or someone you know is having a personal hardship and needs a friend to sit with them at the hospital or needs assistance with yard work or could use a home-cooked meal or something else, please let us know. We’re here for our members. To join the team or request assistance, please go to our Member Support Team page. The membership task force is led by Vici Duarte. The times and types of activities vary due to the case-by-case nature of the hardships and requests. June 2016. Homeless mats ready to be delivered to those who need them. These represent several month’s worth of human hours of labor producing these mats! So many happy faces when we gave them away! 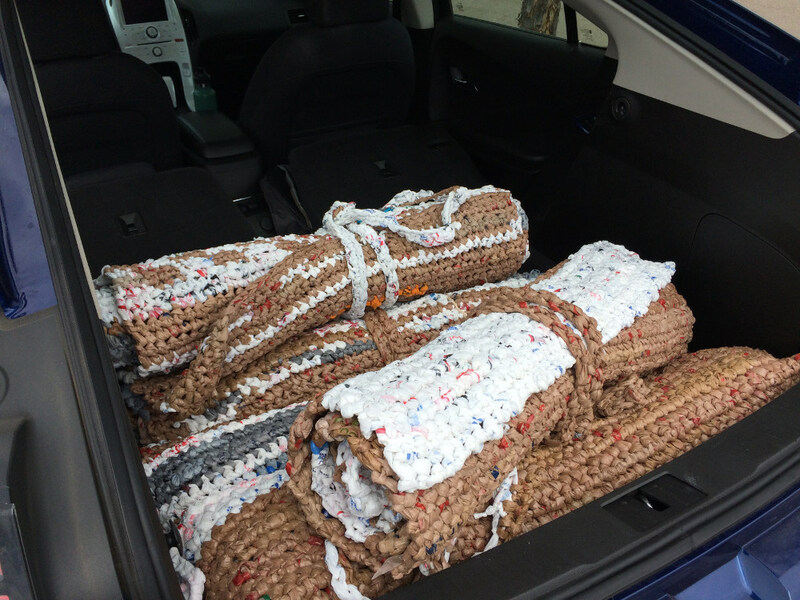 Inspired by YouTube videos making plarn (plastic yarn) and mats for the homeless, Anita and her crocheting crew were inspired to help the homeless of Phoenix beat the heat of the summer pavement with mats made out of recycled plastic grocery bags. It’s a lot of fun to make the plarn and mats. It’s a great way to meet new people and socialize as well! Don’t know how to make plarn? We’ll teach you, it’s easy! Just cut and tie. Don’t know how to crochet? We can teach you how to do that as well! We get together every month to make plarn and crochet the mats. Anita Romanowski is the coordinator for this event. Please join us for a fun and productive time. 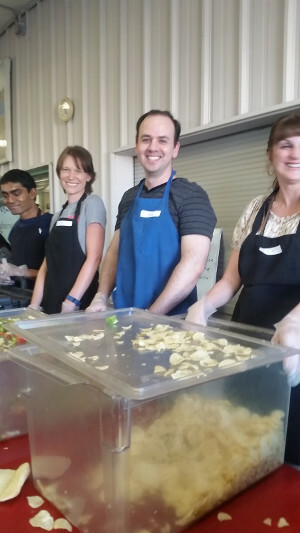 Happy Humanists serving dinner to the homeless. Paz de Cristo is a Christian organization providing essential services to the poor and homeless in the communities in and around Mesa, AZ. 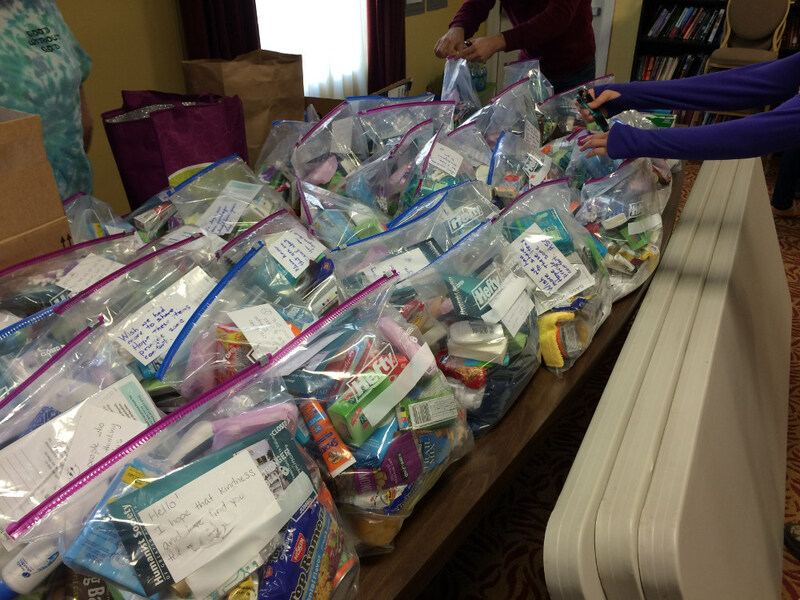 We are happy to help an organization that is actively helping without proselytizing their guests. We can get behind that. 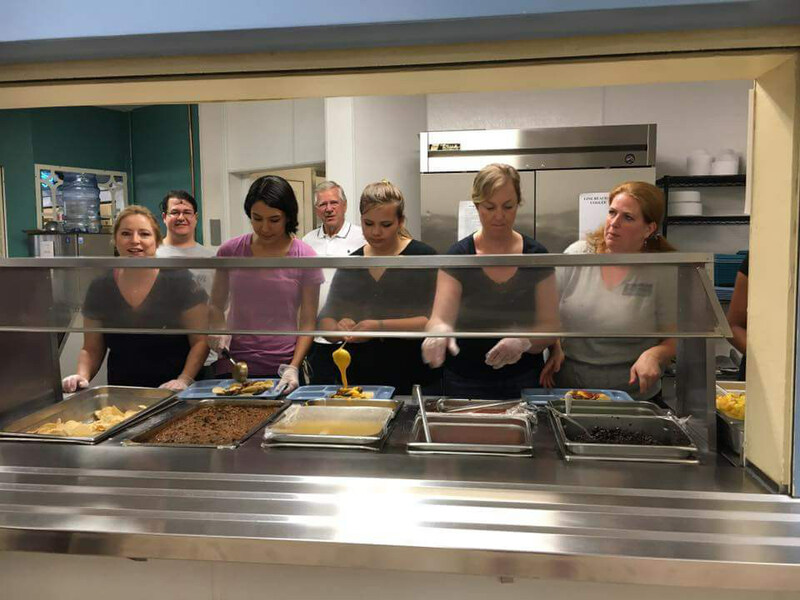 We volunteer with them to prepare and serve food to the homeless community in Mesa every couple of months. Gwen Gentry is the coordinator for this event. UMOM is a fantastic organization that provides shelter, meals, and training to homeless families. It is one of the few shelters in the Phoenix area that provides family services for couples, children, and more. Originally created by the United Methodists, UMOM offers their services without preaching or requiring any affirmation of faith. Clients need help, they give it: it’s a no-brainer. We prepare and serve meals with them every couple of months. Gwen Gentry is the coordinator for this event. St. Mary’s is widely known as the first food bank. They collect and distribute a huge amount of food to those in need around the state of Arizona. Even though the name is religious in origin, they’re a completely secular organization. Their primary product is the Emergency Food Boxes (EFB) which contain a mix of the key components for nutrition for families. 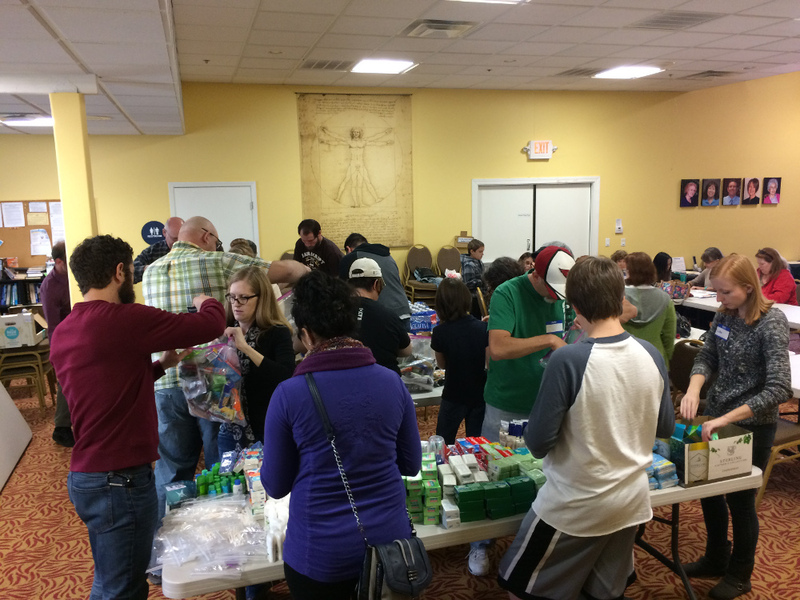 We volunteer with them every couple of months and perform a variety of tasks, including sorting and packing EFBs. Gwen Gentry is the coordinator for this event. When we think of homelessness, we tend to think only of adults. However, the there are a significant number of homeless youth, often invisible to the general public. But you can make a difference. Tumbleweed is an amazing organization that offers shelter, food, and education to homeless youth from 12-24 in the Phoenix area. They offer crisis shelter in the event of emergencies or sudden homelessness. They could always use basic supplies, so please donate if you can. HSGP has a box at the rear of the great hall that is marked for Tumbleweed. If you have some of the items in their wishlist, please feel free to drop them off inside that box. That little bit can go a long way. As Humanists, our duties also apply to our non-primate relatives. Lost Our Home is a wonderful shelter that takes in animals and attempts to find homes for every single one of their guests. Their clientele are mostly abandoned cats and dogs or animals whose owners can no longer care for them anymore due to illness or financial hardship. We volunteer with them every few months and assist with feeding, grooming, exercising, and socializing the animals. Anita Romanowski is the coordinator for this event.